Tupelo Children's Mansion Everyone's A Winner! 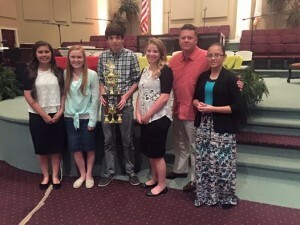 BY STEPHEN JUDD I couldn't be prouder of our four Bible Quiz teams this year. They all competed yesterday in the Mississippi District Finals in Jackson, and performed excellently. We had two teams in the Senior Intermediate level, and also a Junior and Beginne r team. Our TCM 1 Intermediate Level team placed 3rd in the competition. 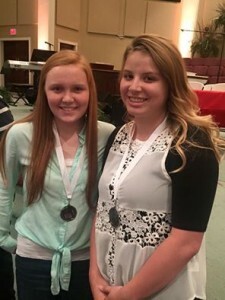 Congratulations to Jackson (FPC) and Columbia (Woodlawn) for placing 1st and 2nd, and advancing to the North American Bible Quiz Tournament to be held in Oklahoma City. To show how competitive our quizzers were, they actually defeated the 1st place Jackson (FPC) team in one of the matches yesterday. Considering the fact that all of our teams were 1st-year teams, our quizzers were amazing. Although we did not win the district tournament, the most important thing is that our young people memorized 100's of Scriptures and have hidden that Word in their hearts. 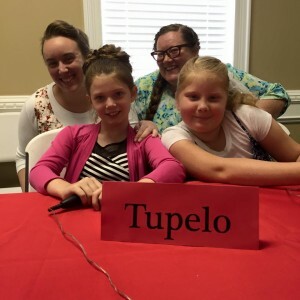 It is an old cliche, but it is true that "everyone wins in Bible Quizzing!" There are so many benefits that come with Bible Quizzing, In addition to learning the Word of God and nurturing a closer relationship with God, the participants learn new study habits and disciplines and have opportunities to meet other students at various events and tournaments. Camillia Garrett and Gabrielle Slagle made the All-Tournament Team! We'll be back next year! After taking a break from study for a few months, TCM will continue to be involved in this great ministry!